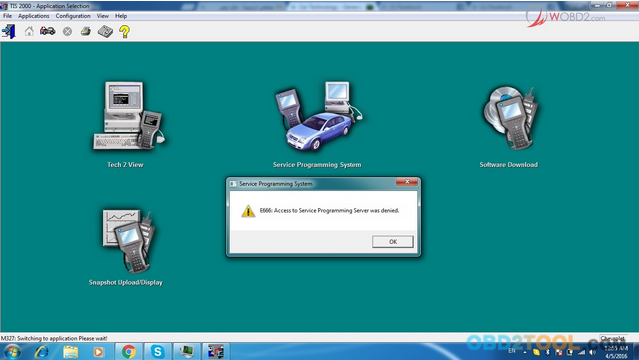 This help to solve Tech 2 Scan Tool error “E666 – Access to Service Programming Server was denied” in TIS 2000 interface. so installed the program and trying to access to SPS but it keeps error E666: Access to Service Programming Server was denied. need a New-Different “Safe” cable if you using USB —-> RS232…..
Normal GM Tech 2 TIS2000 software that comes with it requires?a USB security dongle. Go figure. TIS2000 is COM yet the security is USB. This REALLY screws up things sometimes.